Stile - Lateral part of a ladder which supports the rungs or steps as well as cross struts of supporting legs. Also known as the "body" of the ladder. Rung/Step - Climbing support with a standing surface which interconnects two stiles. 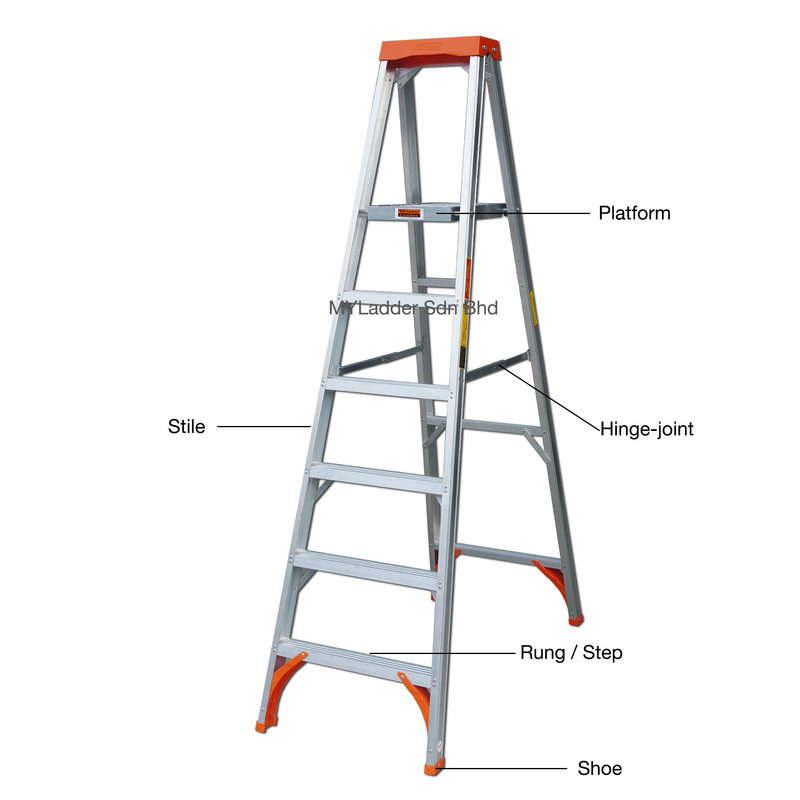 Platform - Topmost standing surface of a standing step ladder which is different from a step. Hinge-joint - Device on standing ladder which secures the two legs of the ladder. Check out our innovative TanglePruf® Hinge design! 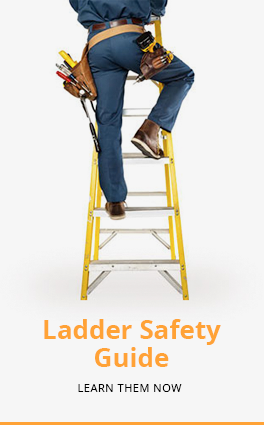 Shoe - Device fitted permanently to the bottom of ladders to prevent the ladder from slipping. BS EN 131 - BS EN 131 is the British standard governing the specifications of ladders and stepladders constructed from aluminium, steel, plastics, and timber. Read more about the standard. Static Vertical Load - Mechanical force that is applied slowly to an object (rungs or steps). Not to be confused with a Dynamic Load, which is applied rapidly (e.g: jumping or stomping). Positive Locking Hinge - A device used in conjunction with a fastener to positively lock the fastener. This means the fastener cannot be loosened from vibrations or movements. Feature available on our WMP and FMP product range. Dielectric Strength - A measure of the electrical strength of a material as an insulator. It is defined as the maximum voltage required to produce a dielectric breakdown through the material. Our fiberglass ladders have been tested for dielectric strength and it far exceeds the industry standard of 35 kV/in.